The exhaust valves move inside the valve guides in reciprocation motion. 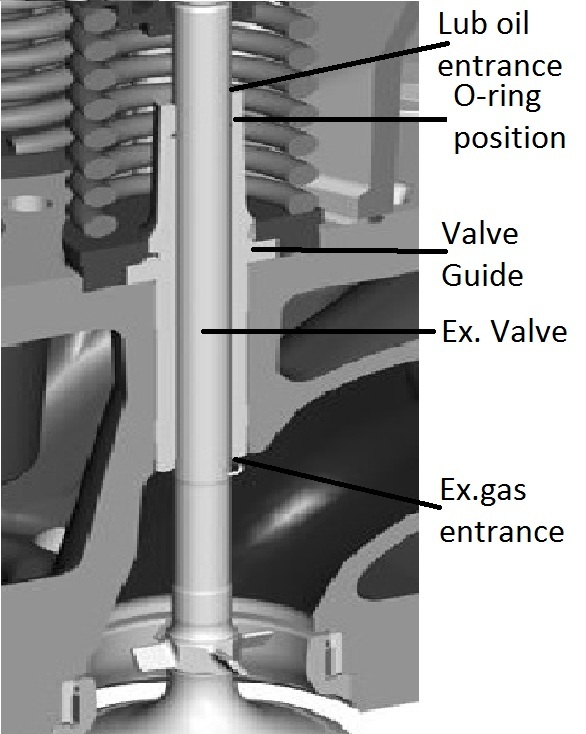 One end of the valve and guide is exposed to exhaust gasses (Down Side), while the other end exposed to relatively cool lubrication oil (Top Side). The valve stem fits securely into the valve guide. If enough deposit form on the valve stem or in the guide, the valve stem sticks in the guide. Fuel play a vital role for deposit formation. Fuel contains high sulphur, Sodium and Vanadium causes cold and hot corrosion and deposit formation. Why exhaust valve sticky problem happens? The main reason of exhaust valve sticky is deposit formation in the middle of valve guide and valve. 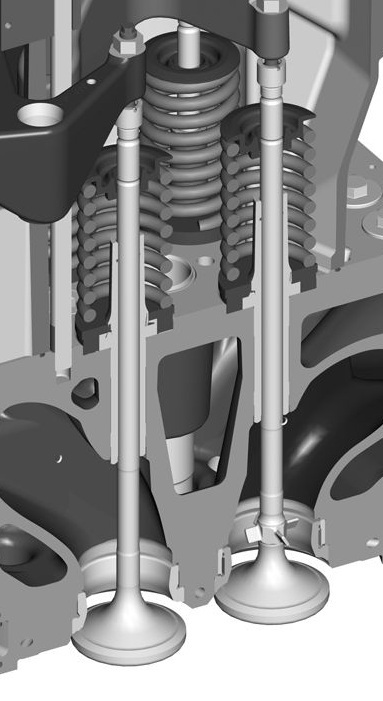 The valves designed to slowly rotate along their longitudinal axis when the engine is running. This allows valve seats to have even wear. If the valves touch their seats in the same position every time the valve will lose its roundness/sealing very quickly. With the longitudinal movement, the valve also moves little radially. Valve rides in the valve guide so the radial movement occur at the bottom end of the valve (Just after the opening of valve guide down side). For this radial movement proper clearance between the valve and guide always required. 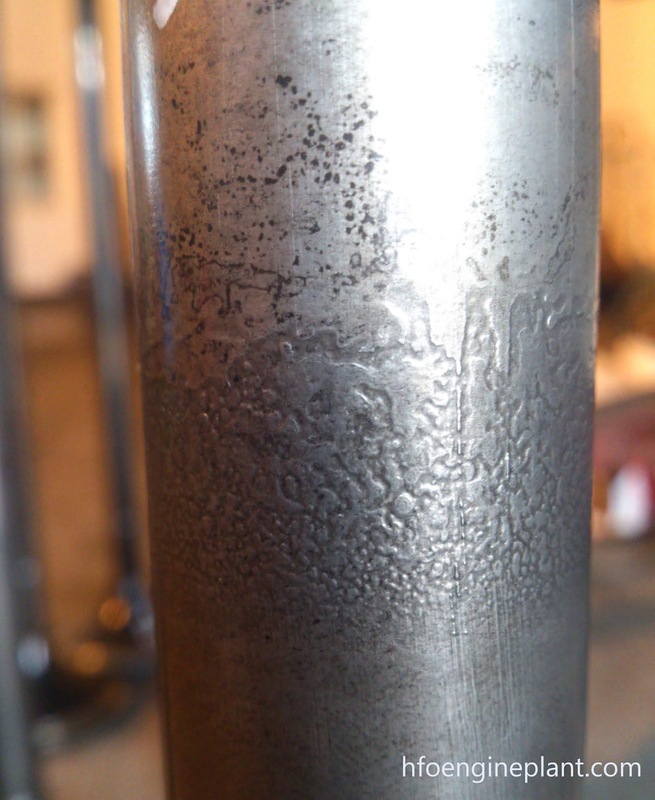 If the clearance decreased, it tends to valve stickiness. During engine running condition lubrication oil flow from the top side of valve guide. An O-ring control the flow of the lubricating oil. 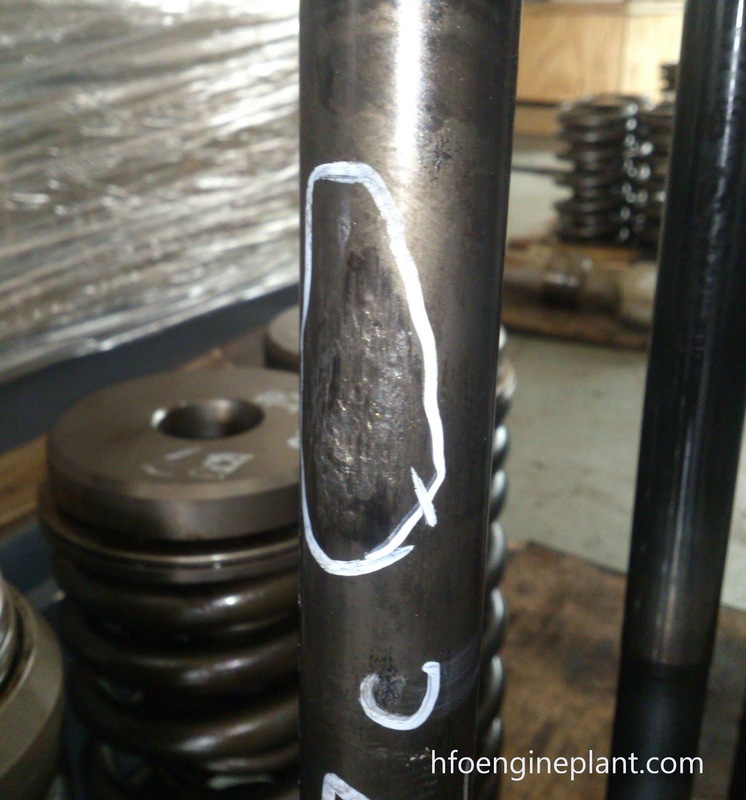 At the same time from the bottom side of the valve guide exhaust gas tends to flow into the gap. 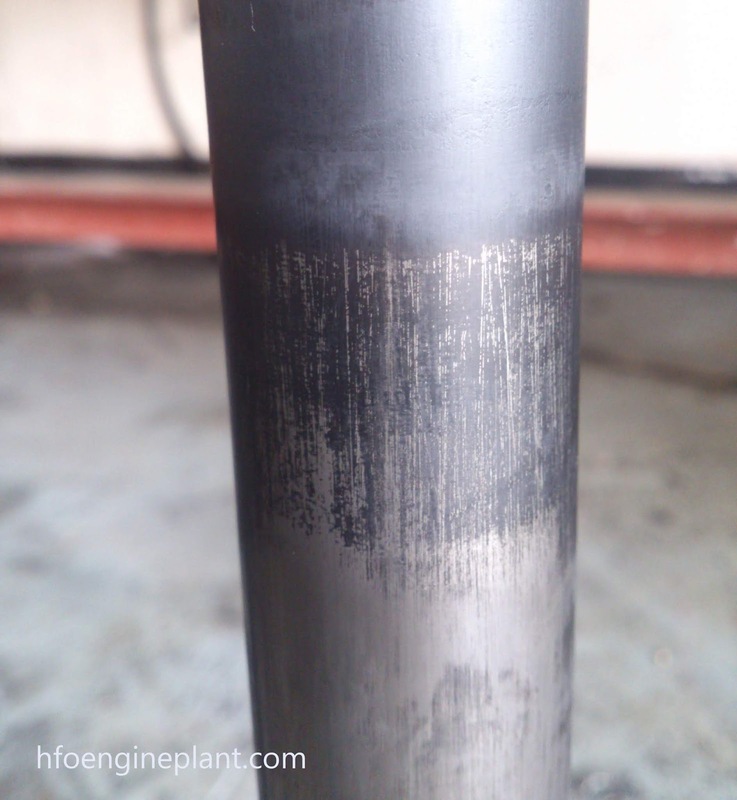 As a result carbonization of lubrication oil occurs and from thick hard deposit. If the oil flow is not sufficient to clear the carbon deposit, clearance gradually decreased. This gradual clearance decrease tends to sticky valve. 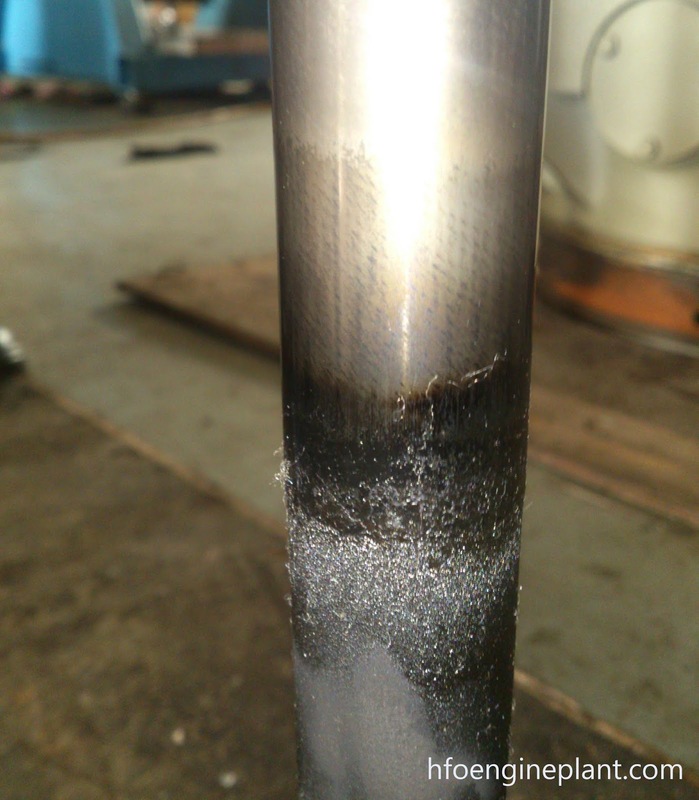 Step 1: Lubrication oil supply limited into the valve guide, so too little oil flow in the valve guide. And the final result is “STICKY VALVE”.